Our range of products include hydrated magnesium silicate powder and magnesium silicate for talcum powder. Our Hydrated Magnesium Silicate Powder is of superior grade and is widely accepted by diverse industries. Synthesized of fine quality raw material. This is characterized by resistance to heat and electricity, high efficiency, and others. We manufacture the finest quality of Magnesium Silicate For Talcum Powder, which is widely used as Talc Powder (Also known as Talcum Powder). 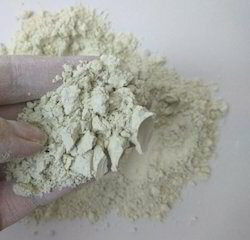 This type of powder is used in. It is widely used in cosmetic products such as baby powder and adult body and facial powders, as well as in a number of other consumer products. It is useful for keeping skin dry and to prevent rashes.